Submitted 4 months 1 week ago by feeds_user. 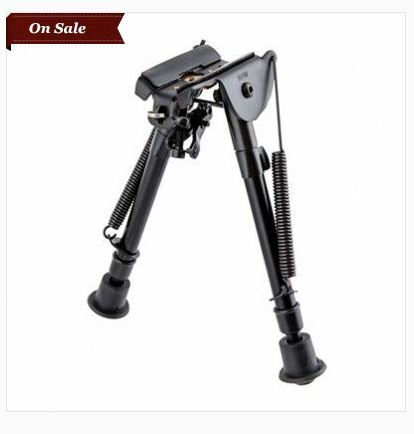 Features : Unshakable prone and bench shooting Features twist lock legs Compact & Lightweight Easily attaches to sling swivel stud Note : The lower leg is bi-directional and can be tightened by turning either clockwise or counterclockwise. To loosen, rotate the leg in the opposite direction it was tightened. Next, extend to the lower leg to the desire position and rotate finger tight to lock lower leg in position. Check that the lower leg is secure and repeat on the other side.